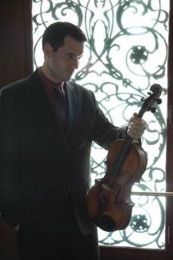 Violist Edward Klorman is a multi-faceted musical artist and scholar. As soloist, he has performed as in Eastman Theatre, with the Rochester Chamber Orchestra, and with New York’s Camerata Notturna and as co-soloist with Stefan Jackiw for Mozart’s Sinfonia concertante. An avid chamber musician, he has collaborated with such renowned artists as Claude Frank, Joseph Kalischstein, Jon Nakamatsu, Charles Neidich, and Orli Shaham, and he has appeared as guest artist with the Borromeo, Orion, and Ying Quartets and with the Lysander Trio. As violist of the Tessera Quartet, he recorded the world-premiere album of recently rediscovered chamber music by the American composer Harold Brown for Albany Records and is currently recording an album of American music for viola and piano. An advocate of American music, he recently participated in the New York City premiere of Libby Larsen’s clarinet trio Ferlinghetti and has worked closely with such composers as William Bolcom, Aaron Jay Kernis, Lowell Liebermann, Russell Platt, and Bright Sheng. A founding artistic director of the Canandaigua Lake Music Festival in upstate New York for nearly a decade, Mr. Klorman developed an innovative annual concert series and community events that were featured on National Public Radio and garnered grant support from the National Endowment for the Arts. He has led panels on music entrepreneurship for Carnegie Hall’s “Academy” program and for the Manhattan School of Music. A committed educator, Mr. Klorman is Assistant Professor of Music Theory at the Schulich School of Music, McGill University. Previously, he served on the faculties of The Juilliard School, Manhattan School of Music, and Queens College (CUNY), teaching musical analysis, chamber music, and viola performance. He has presented illuminating lectures and masterclasses worldwide at venues including the Salzburg Mozarteum, Université de Montréal, the International Viola Congress, and the Society for Music Theory. Describing a recent presentation, The Strad wrote, “Edward Klorman gave a thoroughly researched and imaginatively illustrated lecture, turning a subject which is often dry and theoretical into a practical and fascinating one.” His first book, Mozart’s Music of Friends (Cambridge, 2016), exploration of social interplay and “conversation” in Mozart’s chamber music. It has received awards from the Mozart Society of America, ASCAP Foundation, and the Association of American Publishers. with distinction from The Juilliard School, and earned his doctorate at the CUNY Graduate Center. 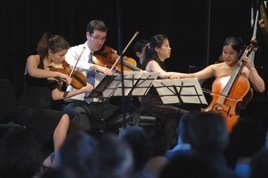 His major viola teachers include Heidi Castleman, Hsin-Yun Huang, Daniel Phillips, Thomas Riebl, and Steven Tenenbom. He makes his home in Montréal.